Colleges and universities need rules defining unacceptable behavior and how students accused of infractions of those rules will be treated. Because determinations of guilt can have serious, long-lasting consequences, schools ought to ensure that their procedures are fair, approximating the due process of law accorded to defendants in our courts. Crucial to due process is the right of the accused to have the assistance of legal counsel. 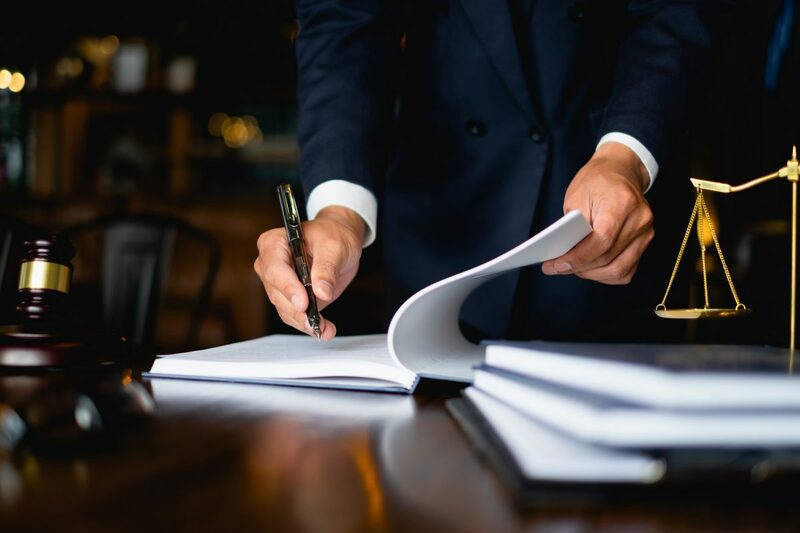 An attorney knows far better than the accused individual how to find and present evidence, how to detect holes in the case against the defendant, and when to object to unfair procedures. Unfortunately, there is nothing like the famous “Miranda rights” for accused students and this can lead to miscarriages of justice. Frequently, accused students have to defend themselves in proceedings that are geared toward finding guilt rather than eliciting the truth. Many colleges deny the right to counsel by prohibiting student’s lawyers, and sometimes the students themselves, from exercising the fundamental functions of an attorney, such as presenting evidence, cross-examining witnesses, or speaking to anyone but the client during a hearing. Such restrictions, moreover, exist at a time of unprecedented pressure—from the federal government, the media, and social activists—on colleges to adjudicate quasi-criminal behavior, especially sexual misconduct, outside the due process protections of the criminal justice system. A case involving a student at the University of California-Santa Barbara (UCSB) in October highlights the blatant injustice that can be done when a school denies the right to counsel. In 2015, a male student called “John Doe” in the proceedings was accused of sexual misconduct by a female student (“Jane Roe”). Both were intoxicated and happened to fall asleep on the same mattress. Both were clothed, she under the covers and he on top of them. Two days after this drunken encounter, Jane reported to campus police that she had been sexually assaulted but did not say who had done it or where. Campus police duly referred Jane’s complaint to UCSB’s Title IX office, which attempted to contact her. When she failed to respond, it closed the file. But a month later, Jane told the campus police that she wanted to proceed, so the Title IX office launched an investigation. That led the university to suspend John and forbid him from setting foot on campus. Even though two eyewitnesses said that it was not possible for John to have in any way molested Jane, the university’s two-person Sexual/Interpersonal Violence Conduct Committee heard the case and ruled that John probably had violated the Code of Student Conduct. As punishment, he was suspended for eight quarters—from Fall 2015 through Summer 2017. John appealed to state court, arguing that his due process rights had been violated by the UCSB proceedings, but the court dismissed his case. So, he appealed to the California Court of Appeals. The three-judge panel on that court took a very dim view of the way the university had conducted its case against John and reversed the lower court’s upholding of the university’s punishment. It agreed with John’s lawyers that the university had withheld critical evidence, excluded relevant evidence, and selectively applied the rules of evidence. Those are exactly the kinds of procedural errors an attorney could have objected to—but in the UC system, lawyers may only advise accused students, not actively participate in proceedings. On the other hand, university counsel was very active in pushing the case against John. In this case, the accused will get another hearing, but considerable damage has been done that can’t be undone. During the Obama years, the Department of Education sent out “guidance letters” that told colleges and universities to minimize the ability of accused students to have effective legal representation. Although those directives were rescinded by secretary Betsy DeVos last year, “Few colleges today voluntarily offer the right to an attorney and in fact, many college administrators actively oppose it,” wrote Adams and Johnson. A few states are at least taking steps to ensure that students will be given the right to an attorney when accused of wrongdoing. The first to do so, reported Adams and Johnson, was North Carolina with its “Students and Administration Equality Act” which was signed into law on August 23, 2013. The North Carolina statute arose out of a case at the University of North Carolina-Wilmington where a fraternity was suspended for violating campus anti-hazing rules. The accused students requested legal representation but were denied. Under the university’s rules, accused students could have an advisor provided by the school, who would have limited ability to assist them, but if students wanted an outside lawyer, the lawyer could only participate if there were criminal charges pending. The deck was thus stacked against student defendants, but the new law changed that imbalance. Protecting against unjust convictions is paramount. Two other states that have addressed the student right to counsel issue are Arkansas and North Dakota, but as Adams and Johnson explain, the statues in those states do not provide as much protection as North Carolina’s. That, however, is the same argument our Constitution rejects in its approach to criminal law. It upholds the rights of the accused, even though we certainly could secure more convictions if we didn’t assure that they are accorded due process of law, including legal representation. Protecting against unjust convictions is paramount. Back in 1966 when the Supreme Court ruled in Miranda v. Arizona that defendants are entitled to legal counsel, prosecutors complained that they would have a harder time getting convictions, but over time they learned how to build their cases while respecting the rights of defendants. That’s no less true in campus cases. Guilty students can still be punished if school officials have to present their cases fairly, giving the accused the right to have an attorney who can participate fully in all proceedings. A solid case won’t collapse just because an attorney is there to scrutinize it. The lack of legal counsel simply means that innocent students are more apt to be punished. Such injustices don’t do anything to “end sexual violence” on college campuses. More states should follow North Carolina’s lead in bringing about equality between accuser and accused in campus disciplinary matters, and private schools should likewise recognize that students should be permitted legal counsel if they so choose. On November 15, the Education Department released proposed rules regarding Title IX procedures. Those rules are meant to reverse the unfairness of Title IX proceedings under Obama’s Education Department and while the language does not refer to a “right to legal counsel,” it does state that colleges must provide each party with “the same opportunities to have others present during any grievance proceeding” and to be accompanied “by the advisor of their choice.” Moreover, if a student does not have an advisor at any hearing where the cross-examination of witnesses is involved, the school must provide one. That language indicates the Department’s awareness of the importance of expert representation to ensure fairness for accused students. Perhaps the precise meaning of the “advisor of choice” provisions will become clearer during the 60-day “Notice and Comment” period for the proposed regulations. Perhaps we are finally moving toward fair treatment for students accused of Title IX violations just as we adopted fair treatment for people accused of crimes back in 1966.